Just Jingle: Scrapbook Circle - Lifting You! Head on over to the Scrapbook Circle blog today to check out the card that I created by lifting Rebecca's fabulous layout! I loved working with her fabulous quadrant design! I hope you all had a wonderfully fun and safe New Year celebration! I'm not feeling so hot, so it's a quick one today, but I hope to be back in action by tomorrow! Here's hope'n! Jingle Out! This is so hearty, off to see the rest! Happy New Year! Gorgeous! 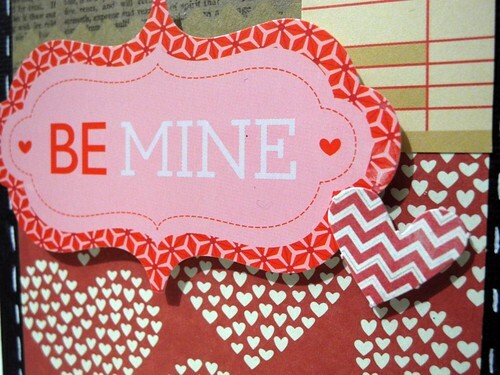 Totally got me in the mood for valentine's projects! just popping in to say Happy New Year and Happy anniversary! love the pic of you and your hubby. and.. I hope you feel better soon!